Whether she's stealing jewelry or Batman's heart, Funko Pop Catwoman offers several editions of the femme fatale. Since her fist appearance in DC’s 1940 Batman issue #1, Selina Kyle, a.k.a. Catwoman, has been both villain and antihero. However, one aspect remains the same—she loves toying with The Batman. Due to their on-again, off-again relationship, it's no surprise to see most Catwoman figures issued in larger Batman sets, including her first option—dressed in all black—from The Dark Knight Rises. 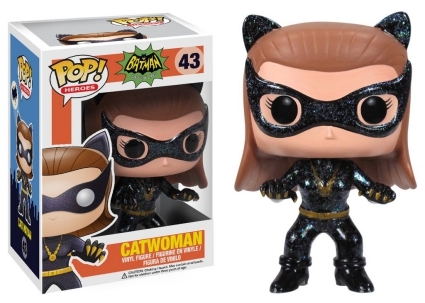 Looking back to the earlier years, the Batman 1966 Classic TV line features The Cat Burglar wearing black and gold attire with a hint of glitter. 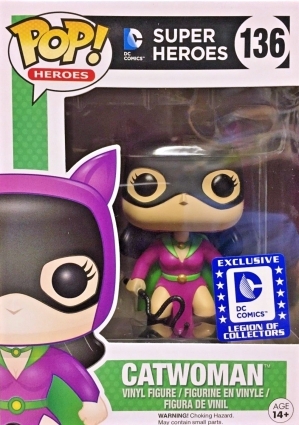 In addition, the DC Legion of Collectors Catwoman dons a purple dress while wielding her classic whip. 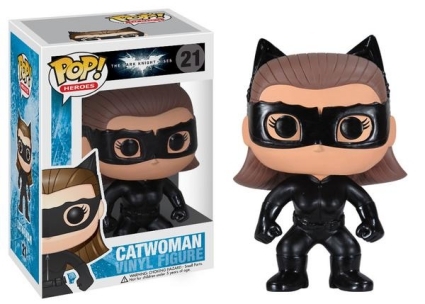 Shop for Catwoman Pop Figures on Amazon. Featuring a host of villains, Batman: The Animated Series includes the cartoon vixen in gray. Although the Funko Pop Gotham figures are not officially part of Pop! 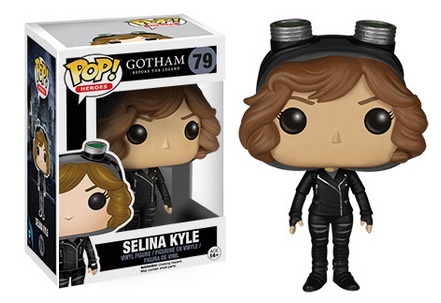 DC Heroes, it is only fitting to include the Selina Kyle option in the lineup. 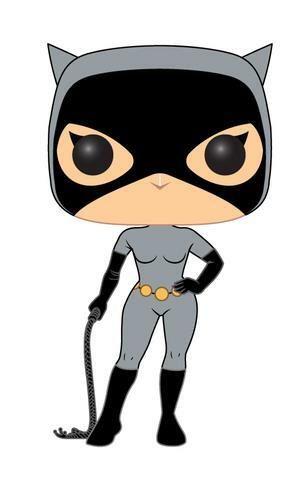 The complete Funko Pop Catwoman checklist includes all primary figures, variants or exclusives that are currently available. Click on the visual guide tab above to see an image for each figure. Funko Pop Heroes DC Comics Bombshells Wonder Woman And Catwoman CHASE SET!!! Image is concept artwork and not final.